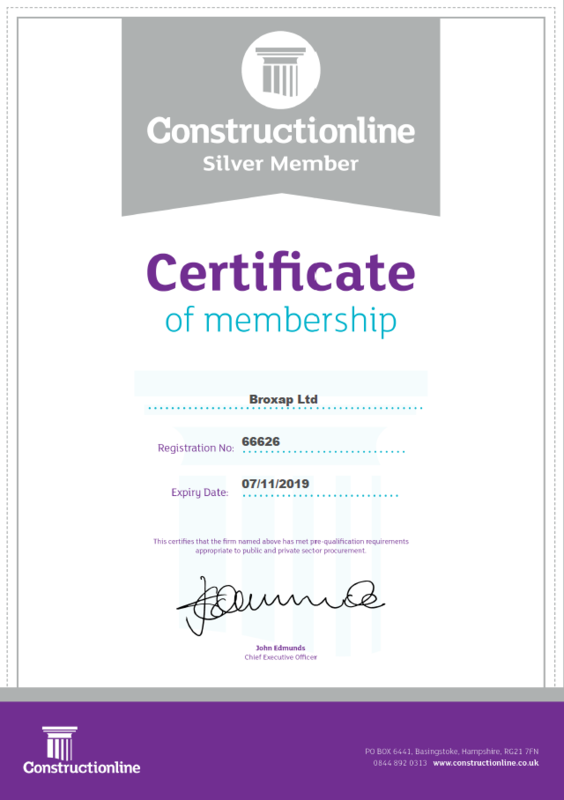 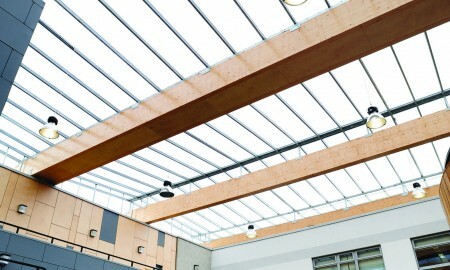 Originally specified to be ETFE pillowtype atrium covers, the main contractor, Lend Lease, approached Broxap to provide a cost effective solution to covering three individual quadrangle/ courtyard areas, totalling over 1,800m2. 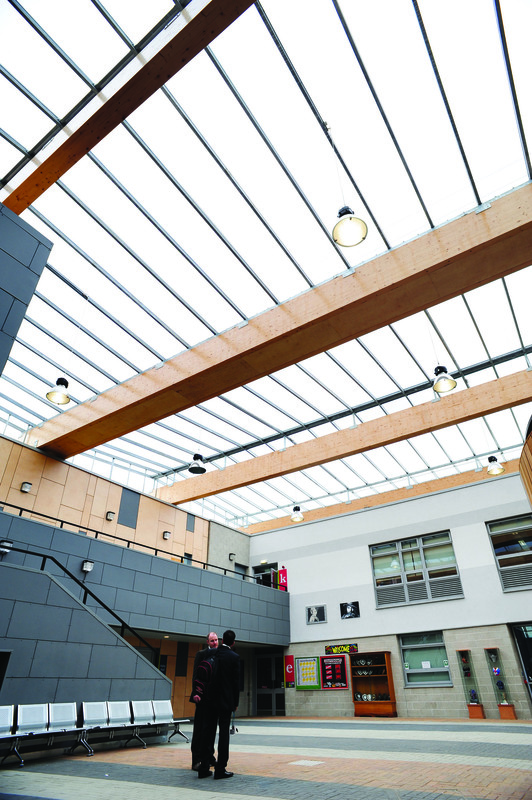 Each courtyard consisted of Glu-lam beams spanning the length of the roof openings, together with structural steel framework and a non-fragile, structural polycarbonate roofing system. 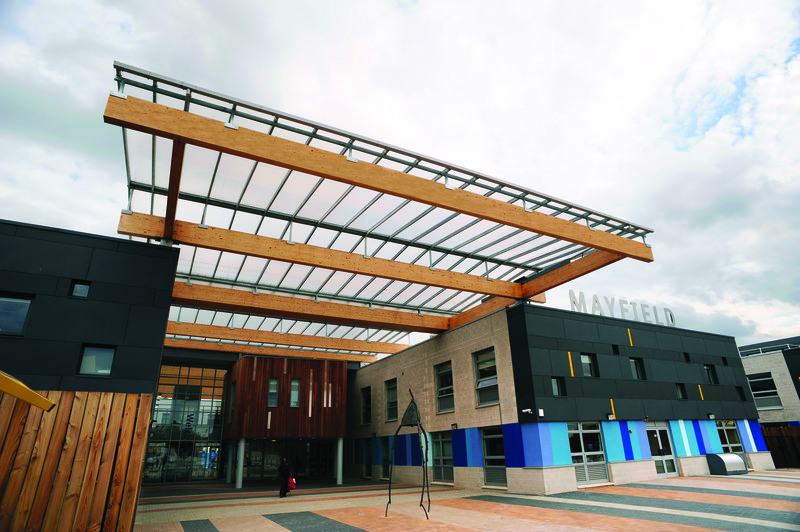 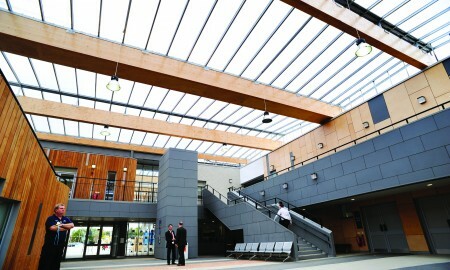 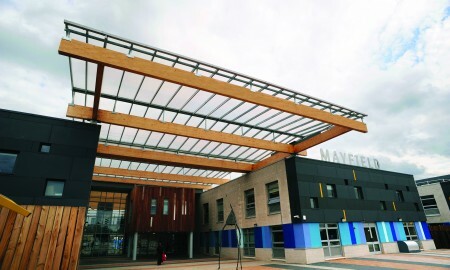 One of the three courtyard covers cantilevers from the school building to form an entrance canopy. 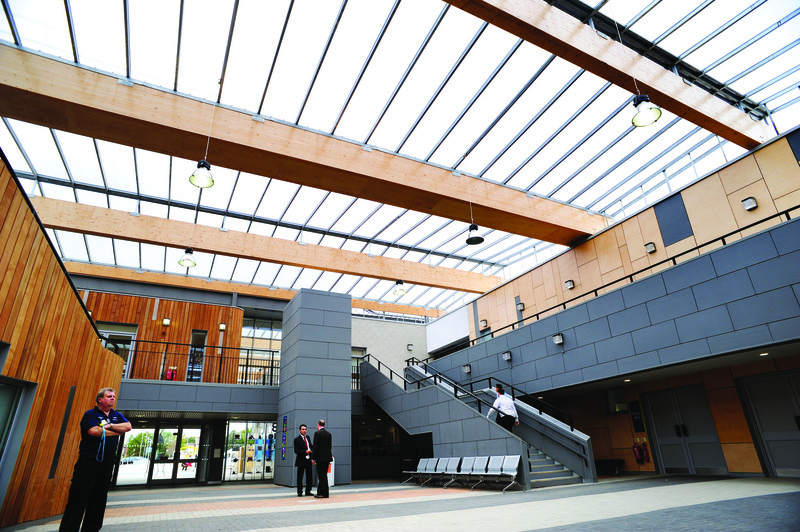 The natural light transmission makes this an attractive area for students to congregate and study, optimising the exterior of the school grounds.